Fortinet is a worldwide provider of network security appliances and the market leader in unified threat management (UTM). Fortinet products and subscription services provide broad, integrated and high-performance protection against dynamic security threats while simplifying the IT security infrastructure. Fortinet's flagship FortiGate systems are, which provide an ASIC chip accelerated performance and integrate multiple security levels in order to protect against application and network threats. Fortinet awards InfoGuard as «Swiss Partner of the Year 2014». InfoGuard offers with FortiGate a multifunctional security systems that include applications such as firewall, VPN, intrusion prevention (IPS), anti-virus or anti-spam. 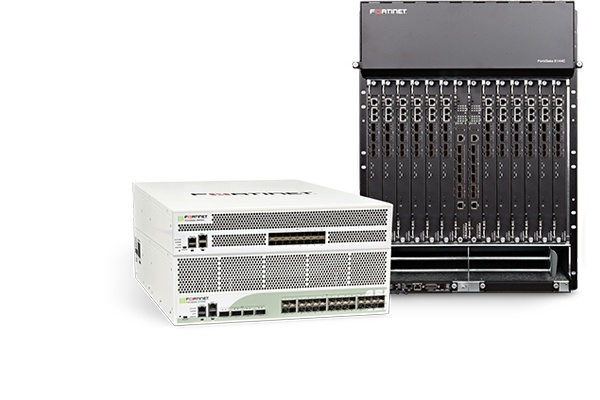 The FortiGate systems are dedicated ASIC-accelerated security appliances that combine all the key security and networking functions in one product. The consolidation on the basis of the FortiGate platform lowers your operating costs and capital costs for purchase, management and maintenance of many different individual solutions. They also benefit from the modularity of the platform and can easily add more security features, without a new hardware required. You can reduce the total cost of ownership (TCO) and protecting your investment in security infrastructure. Fortinet's FortiSandbox is an Advanced Threat Protection Detection designed to identify the highly targeted and tailored attacks that increasingly bypass traditional defenses and lurk within networks. Offering a unique dual-level Sandbox, inspection of all protocols and functions in one appliance and optional integration with your existing FortiGate infrastructure, FortiSandbox delivers highly effective protection against this emerging class of threats that is affordable to buy as well as simple to deploy and manage. Complement your established defenses with this cutting edge capability; analyzing files in a contained environment to identify previously unknown threats and uncovering the full attack lifecycle. Rich threat intelligence, actionable insight and the option to share information with FortiGuard Labs in order to receive automated protection updates help organizations reduce the risk of compromise and breach. Long-term cooperation with Fortinet and a broad customer base. InfoGuard is Fortinet Platinum Partner and «Swiss Partner of the Year 2014». Our highly qualified Fortinet Security Engineers are experts in the field network security. Extensive experience in firewall and network security.